Scotch-Irish by heritage, I have always been drawn to the imagery of the British Isles. This series of Classic Cookie Stamps celebrates that heritage, and the immigrants who came to this country and made it home. The Thistle is a rugged plant that has adapted to harsh conditions and still graces the world with delicate lavender blooms. How perfect for it to be the Scottish national flower. A touch of Ireland, for St. Patrick’s Day and all the year. 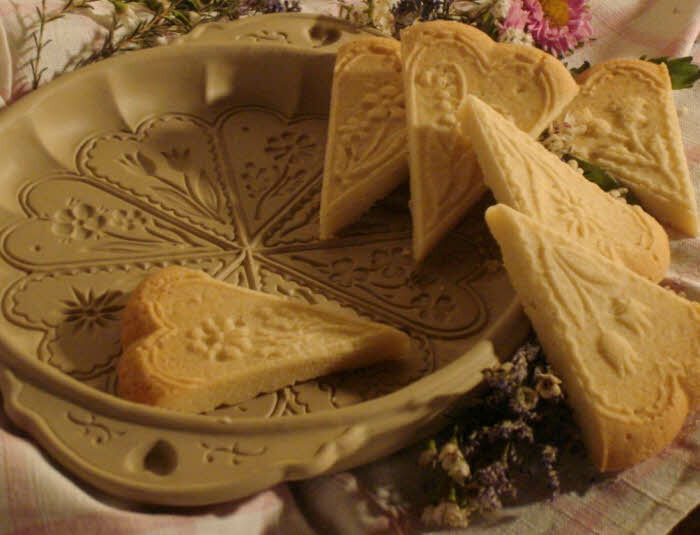 This Cookie Stamp design was adapted from an ancient design found in Ireland. The symbolic Claddagh emblem includes a heart for love, a crown for loyalty and hands for friendship. Lovely in a ring, delightful for a cookie to be shared with those you hold dear. When and where are the heart and british isle stamps available??? Thank you for bringing more cookie joy into our lives! I’m glad you like the new stamps. 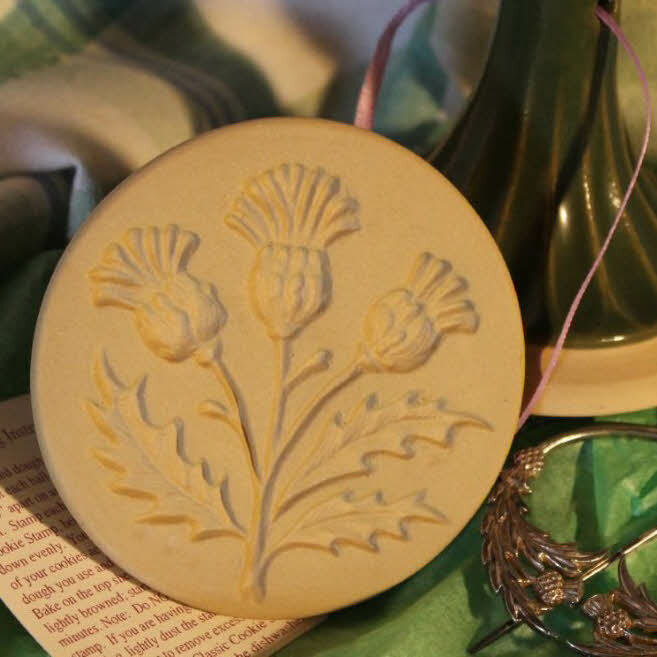 All stamp handles are the same fluted shape as the Christmas ones, but glazes are different for each series. The Heart stamps have a lavender glaze, and the Celtic/British Isles stamps are muted green. The previous stamps with the figured handles were fun , but some were a little hard to use. Personally, I prefer the simpler shape of these new ones. Both sets of stamps have been available for a year, now, so I think ,many of my stores have them in stock. Try checking on the “Find A Store” tab at the bottom of the page. I don’t sell the pans myself. You need to check out the “Find A Store” tab to locate a retailer who can help you. I’ve gone to just about every one of the sites you show to purchase the molds but none seem to have your molds. This isnt funny or fun. Ive spent hours trying to buy molds. Either give us a site that actually carries your lines or tell us you are out of business. I am sorry you are having so much trouble. Admittedly, there are some stores listed that no longer carry my products, and we are cleaning the list as fast as we can. This site has only been up for a pretty short time, and we are slower to get everything fixed than we should be. 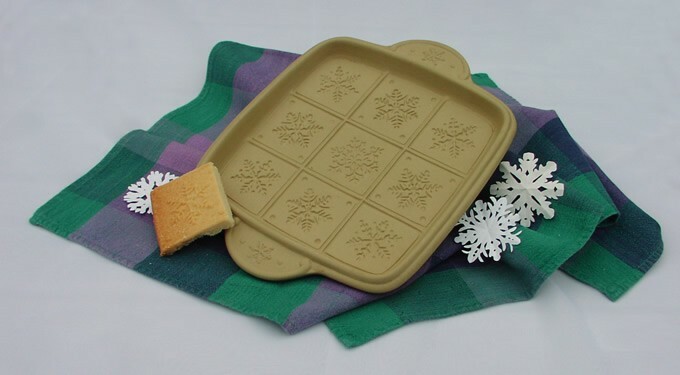 kingarthurflour.com also carries a couple of styles of shortbread pans, including one that is exclusively theirs for 2012. You might want to check that as well. My daughter is getting married on the solstice this year, December 21st. 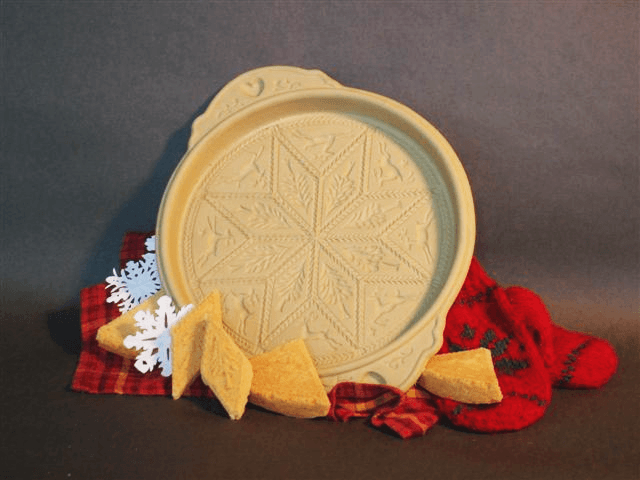 I contacted the nearest store that was listed as one of your suppliers in Montrose, Ca, and was told they only had Christmas molds in the store now. I am most interested in the British Isles series. Is it possible to buy from you directly? Thank you kindly for your time and attention to this request. PS Alternatively I can be reached at 819 667-8753. Try http://www.sweetnfancy.com. They have a wide selection of pans. And congratulations!